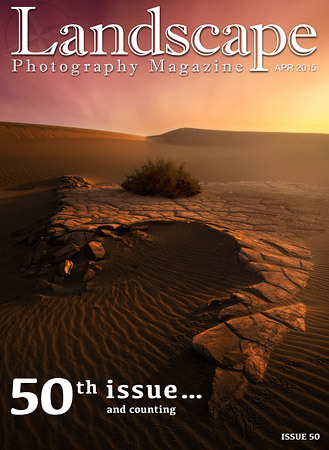 April 1st marks the celebration of the 50th issue of Landscape Photography Magazine and how time has flown by! This seemed like an ideal opportunity, if ever one was needed, for me and my team to revisit some of our back issues from the past four years and appreciate once again the wonderful images that our readers have sent us, the inspiring articles written by our pro-contributors and the incredible talents and names that we have showcased and interviewed over the years. Looking back over these issues gave us an idea for a ‘50th issue’ special offer. 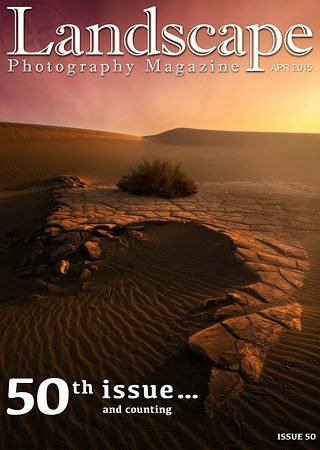 If you are new to LPM, for a limited time we are offering you the chance to download the current April issue plus ALL 49 back issues for $25 (approx. £16.80), click here to subscribe now! And there’s more… To celebrate our 50th issue, Sigma imaging UK has given us a dp1 Quattro camera, worth £899.99 ($1350) to give away to one of our readers! Entry is free for all our paying members and entering is easy. Full details can be found on page 106. Also this month: Embracing the Honeypot. A location becomes popular and earns the title ‘honey pot’ for very good reason. Not to visit it because others have already done so can mean missed opportunities. Lizzie Shepherd explains how to approach these locations with a blank canvas and fresh eyes. International Garden Photographer of the Year 2015 Collection 8. We bring you a superb selection of highly inspirational images from the competition. Wild Scilly: Edward Marshall spent eight weeks in 2014 photographing the Scilly Isles. He tells us the story of how this incredible journey changed the way he sees photography today. Also, does social media marketing really work? Deborah Hughes shares her valuable experiences that may give us all a fresh approach and new ideas. All this and much, much more. See you all next month!